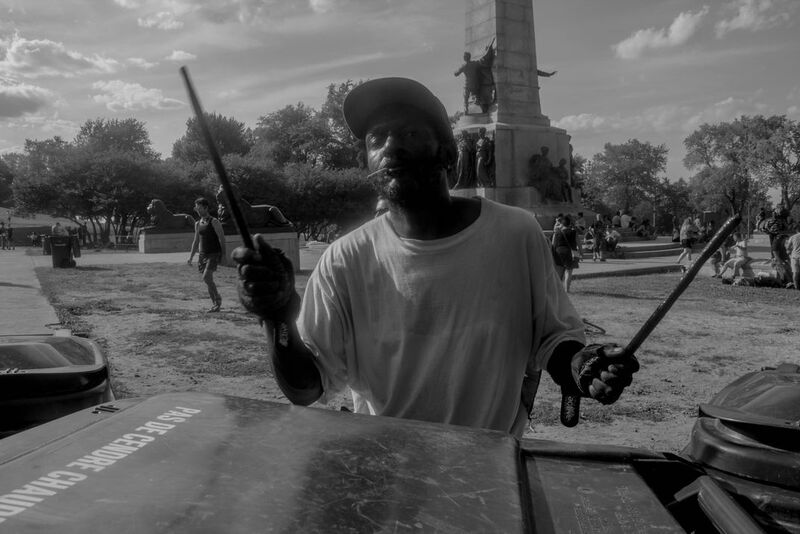 A man drumming on garbage bins with an enormous drum circle at Parc du Mont Royal in Montreal. Every weekend people gather in the park to drum and dance together. Date Uploaded: Nov. 21, 2018, 3:53 p.m.